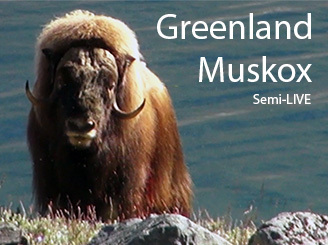 Bowhunting Muskox has always been on my bucket list. So it was with great enthusiasm that I jumped at the chance to travel to Greenland and bowhunt these underrated arctic animals with Greenland Outfitters. This was high adventure at its best. But the first order of business was getting to Greenland. This is a big part of the adventure. My travels started with a flight on Iceland Air from Boston Mass to Reykjavik, Iceland. There I met my three hunting companions; longtime friend and owner of Bowhunting Safari Consultants, Neil Summers, Gary Gapp from Idaho, and Bill Gunther from Maryland. We spent one night in Iceland then we would head to Greenland. The adventure started early. Air Iceland (different than Iceland Air) told the passengers that the plane was too heavy and they would be leaving luggage behind. It would be delivered in three days! Obviously this was a problem for everyone on the plane, but for us it was a serious complication. 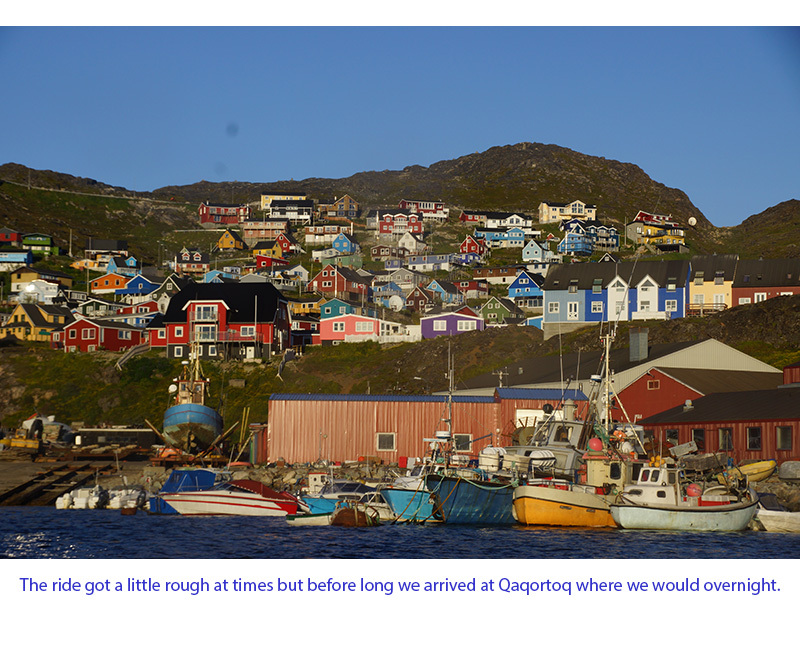 After arriving in Narsasaq Greenland we were relieved to see every piece of luggage come down the belt. 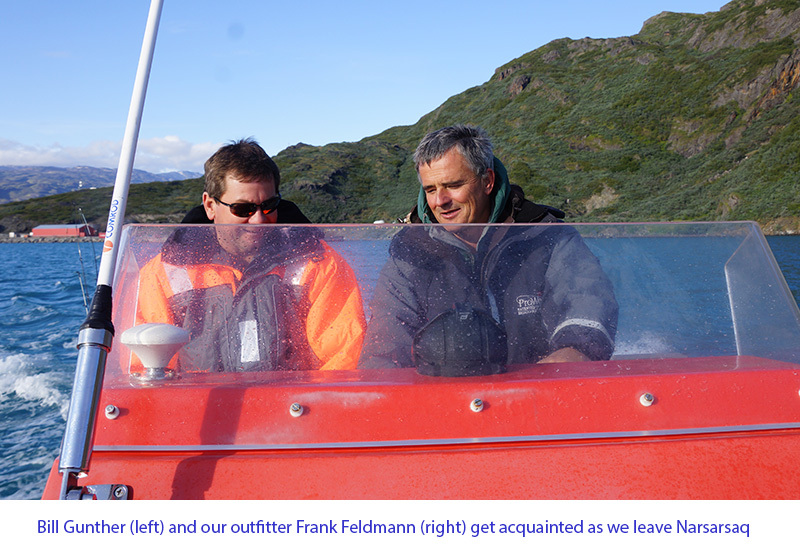 Our outfitter Frank Feldmann met us outside of security and we loaded our gear into a bus to take us to the docks. His 27' converted rescue boat was waiting for us there. 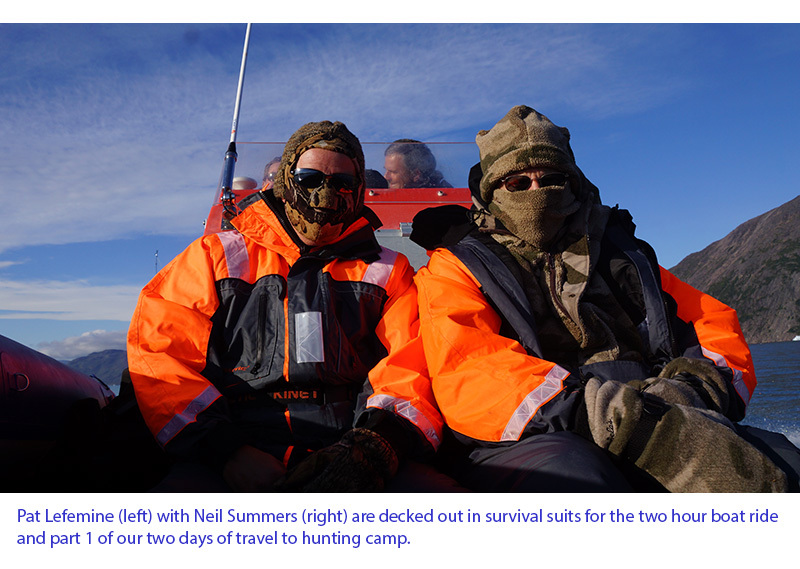 We put on survival suits for the two hour boat ride to a small Greenland village called Oktokuk. The first iceberg we passed was thrilling for us, we'd never seen one before. 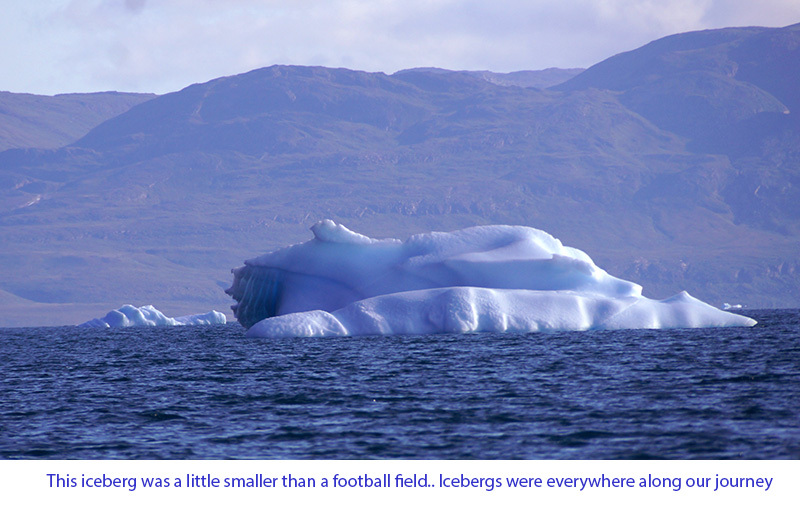 The bergs came in two colors, plain white and deep blue. Within the first hour we had seen hundreds of icebergs. They were everywhere. The trip was exciting, and at times cold and wet, as the sea spray drenched the boat when the combination of wind and surf hit the right angle. Frank had to position us a couple of times to keep from getting wet. The suits worked great and they were an absolute necessity. After two hours we arrived in the small village where we would overnight. The town was a small fishing village in the middle of absolutely nowhere. The houses were all painted in bright colors and it reminded me of Holland without the windmills. They had all the modern conveniences like high speed Internet, excellent cell coverage, three restaurants and one scary looking bar called the arctic cafe which we were warned to stay away from. We had a nice steak dinner and a few beers before heading back to our flat. Tomorrow, we will be back on the boat again for the long ride to Muskox camp. 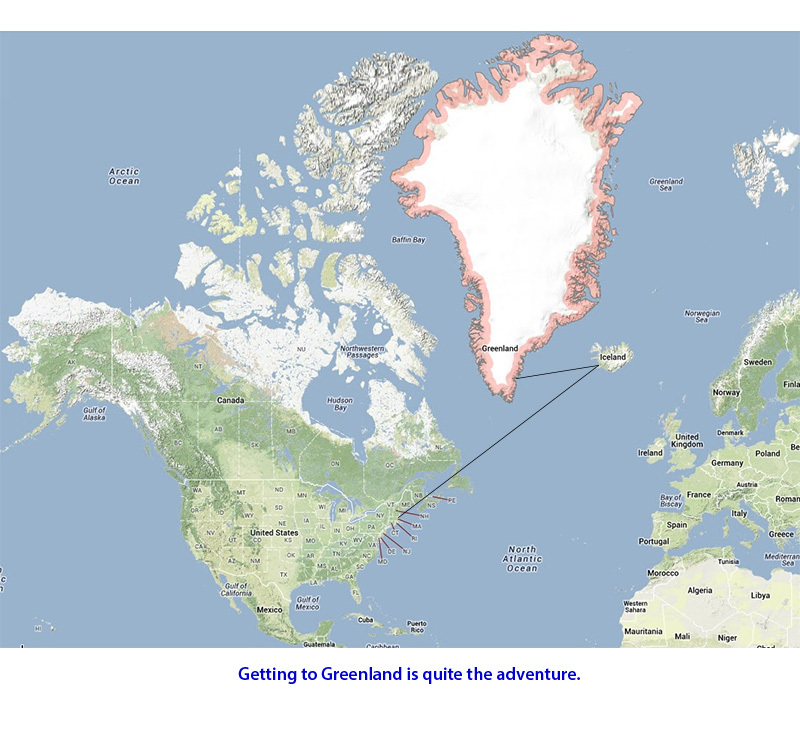 Getting to Greenland is no small ordeal, but it is also part of the fun. My trip started in Boston and ended in Iceland before the hunt started, then on to Oktukuk Greenland for Day 1 of our hunt.